All of our yoga and fitness instructors are certified and insured. We invite you attend a variety of classes to find an instructor and class that best matches your fitness goals and practice desires. Click the photo to learn more about each instructor. Barbara Hauger: With gratitude, Barbara feels privileged to introduce new participants of yoga to breath awareness, asana, and relaxation. Barbara is a RYT-200 certified yoga instructor and teaches group and private lessons in vinyasa, chair yoga, and restorative yoga. She is a Level 2 certified Reiki practitioner and often employs hands-on relaxation techniques to clients during Restorative Yoga sessions. Barbara is available for private or semiprivate lessons. Please contact the studio for information. Gerri Carlson: Gerri has been practicing Yoga for several years and has been an instructor for over 10 years. She completed YogaFit Level I certification and is trained in Kids and Senior yoga. She continues to work on her 200-hour Yoga Alliance Certification through YogaFit and as of 2013 became certified in Yoga Barre Fusion as well. Gerri's warm and welcoming personality and her connection with her students is evident in the popularity of her classes. Kathy Clark: Retiring her running shoes after a knee injury, Kathy found Vinyasa style yoga as a way to build strength and gain flexibility while receiving a cardio workout. She found that connecting the mind with the breath and the breath with movement was a transforming experience. Kathy completed teacher training at CorePower and is RYT-200 certified through Yoga Alliance. Elle Allen: Elle returned to a yoga practice in 2006. Shortly thereafter she noticed her chronic experience of a stiff neck stopped occurring, her feet were no longer sore, she felt taller and stronger. Yoga also released deep pent- up emotions that lightened her from the inside out. 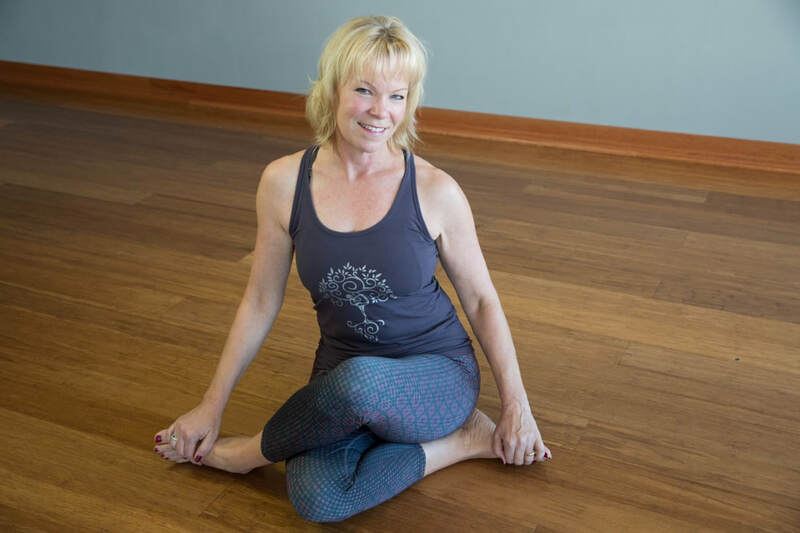 Elle's teaching style encourages participants to deeply connect mind, body, and breath for a gentle and profoundly mindful experience. Megan Mohr: Megan’s relationship with movement started at the young age of 3 when her mom enrolled her into her first dance class. At the age of 3 she was hooked. She continues to dance today and now has over 24 years of dance behind her. She currently teaches dance around the twin cities and is dancing with professional Jazz Dance company Eclectic Edge Ensemble. Her fitness journey outside of dance started about 10 years ago when she fractured her hip and lower back. She tried everything to heal and soon found that Yoga was the only thing that helped her get healthy and to heal. She knew that yoga was soon going to become her second passion. In 2010 she enrolled in sculpt teacher training. That was the start of her teaching career. She now teaches a wide range of formats including: barre, vinyasa, bikram, sculpt, zumba, and of course dance. When not teaching she always makes time for her husband and dogs and soon to be baby! She is so excited to be teaching and can’t wait to share her energy with all the amazing students at Yoga 4 You! 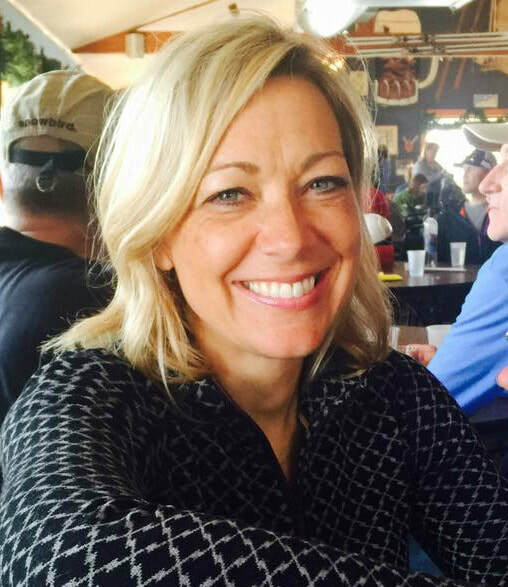 Angie Bounds: Angie began practicing yoga in 2001, focusing on the physical benefits of improved balance and flexibility. It didn't take long to realize that there was so much more to gain from the practice. Learning to cultivate a calmer mind and spirit through pranayama and meditation has deepened her physical practice as well as improved her interpersonal relationships. She now practices some form of yoga or meditation daily, if only for a few minutes at a time. Her goal is to take the knowledge and inspiration she has gained, with gratitude, from past and current teachers and pass that along to other students with a sense of joy and compassion. She believes that everyone inherently practices yoga, they just might not know it yet. Elena Machlicha: Elena was introduced to yoga in college by following Rodney Yee’s videos and was intrigued by how yoga seemed to connect her to nature. As she deepened her practice she found herself becoming gentler, more compassionate and introspective, and decided it was time to learn more about this practice and complete her 200-hour teacher training. Now she practices yoga to find gratitude in the everyday, to foster self-love, to maintain and tune into a healthy body-mind connection, and to connect to something much greater than herself. She tries to embody two intentions every single day: trust and gratitude. Off the mat, Elena enjoys hanging in the hammock with her husband, snuggling with her furry friends, and camping. 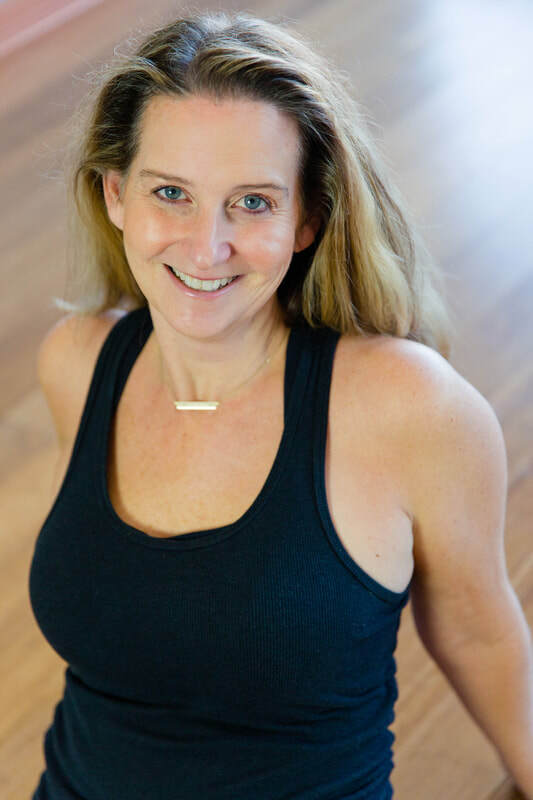 Debbie Brandt: Debbie started practicing power vinyasa yoga in 2012 as a means to stay in shape and counteract all of the “unavoidable” changes women’s bodies go through after turning 40. Having never been terribly flexible or graceful, yoga has brought her a new body awareness and confidence. Along with body awareness, she has also experienced life-changing emotional and spiritual benefits. Yoga is her meditative time out of a busy life, where she can focus on her mind and body and erase all of life’s worries and demands. She finished her 200-RYT training for power yoga in September 2014 and has added to her yoga repertoire with practice of other types of yoga and with continuing education. As her yoga practice and training have expanded, she has become passionate about making yoga accessible to all students. She is enjoying sharing her love of yoga with students, teaching and learning from all. 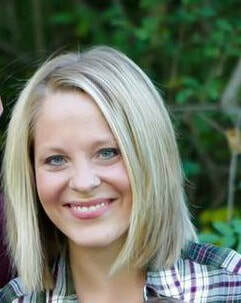 Jenna Galarneau: We are thrilled to have Jenna join our wonderful group of Y4Y instructors. Jenna has been instrumental in getting our aerial yoga classes off the ground. Jenna’s interest in body movement began in toddlerhood when she took her first dance class. She continued to develop this passion throughout high school when she discovered yoga. In 2012, Jenna completed her 200-hour yoga teaching certification and her Unnata Aerial Yoga teaching certification. Through yoga, Jenna developed an interest in holistic health which she has since incorporated into her life and education. Jenna is a recent graduate of St. Catherine University where she received a baccalaureate degree in Nutrition and Exercise Science. Her other interests and hobbies include being a mother and trained doula, sustainability and environmentalism, minimalism, music, and Netflix. Jenna is also on her journey to zero-waste as part of her fight for protecting the earth and against consumerism. Amber Husevold: I love when people find their glow, inside and out! My goal as an instructor is to show you what your body is capable of doing. After all, the body achieves what the mind believes! I view the body as a temple and if you take care of your body, your body will take care of you. I am passionate about living a holistic lifestyle. My husband, my energetic Australian Shepherd, and I always make time to prepare healthy meals and stay active! Life is hectic, but without your health, what do you have? As an instructor, I teach a variety of formats including TRX, Buti Yoga, Vinyasa Yoga and XY. I also work in Human Resources for my full-time job. In my spare time, I enjoy practicing yoga, camping, and spending time with loved ones. Marya Asher: Marya began her yoga journey in 1998 because she heard it was good for dealing with stress. It worked so well that she began training to become a yoga instructor not too long after. She completed her 200 hour training in 2001 then her 500 hour in 2007 and is well versed in a variety of styles from strength to restorative. Yoga led her to Reiki training, Meditation training and overall fitness training. She is also a Certified Group Fitness Instructor and Certified Personal Trainer. Marya offers her students opportunities to challenge their bodies and to find stillness. 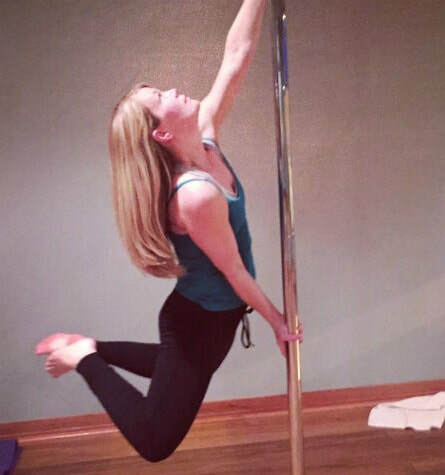 Melanie Furman: In addition to being a versatile yoga instructor is also our primary pole fitness instructor. Laurie TeBrake: Yoga has impacted my life in ways I never imagined. Initially, like others, I went for the exercise, balance and flexibility. As I continued to practice I noticed a shift in perspective and attitude, but the real change happened through participation in yoga teacher training. The expansiveness of this lifestyle is something to be reckoned with. Not only has it helped me create a personal path, but has allowed me to share this wonderful journey alongside others. Yoga is like a gift every time I come to my mat. Carolyn Gross: As an athlete and lover of high intensity workouts, it took only a few yoga classes for Carolyn to realize the benefits of slowing down, looking inward, and focusing on her breath. Carolyn is always up for a challenge so she jumped into power teacher training and now she cannot remember what life was like before yoga! Carolyn loves introducing yoga and barre to those who are not yet familiar and tries to make these accessible to people of all abilities. When she's not on her mat, Carolyn enjoys drinking coffee on her deck, playing volleyball with her husband, and walking her American Bulldog. SUB: Marcia Rienhardt: In 2011, Marcia started taking a class at week at Yoga 4 You to add some "stretching” to her cardio/weight lifting routine. There she fell in love. She took more classes varying the types. 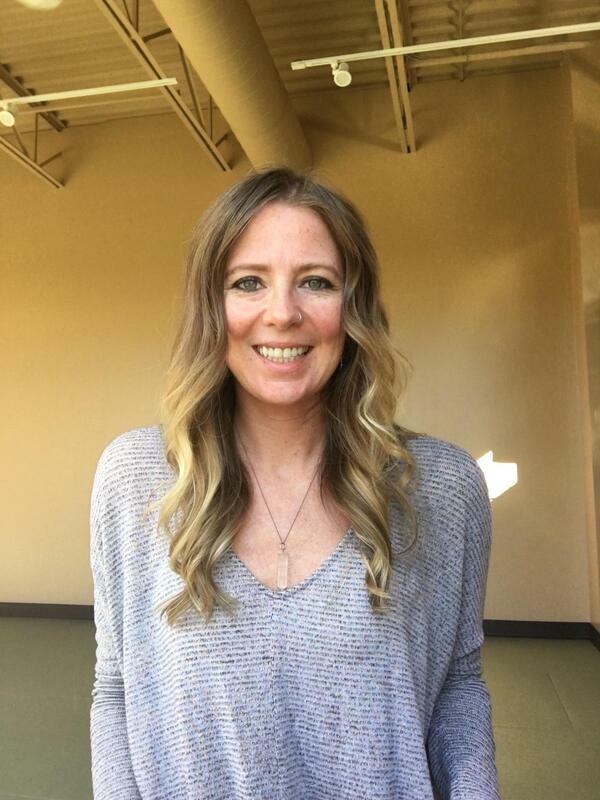 In the summer of 2017, Marcia became a RYT-200 Certified Yoga Instructor through training at Green Lotus Yoga & Healing Center adding Yoga Sculpt training that fall. You can find her at the studio in the wee hours of the morning with her 5:30am crew and randomly throughout the day. As well as leading yoga classes, she is also the Facebook diva for Yoga 4 You. Brenna Rollie: Brenna is an E-RYT. She completed her 200 hr training at Samadhi Center for Yoga in Denver, Colorado and has since taught 1000+ hours of yoga related classes. She is also a Master (of Science, not the Universe) having completed her Master's degree in Sport Studies from Bemidji State University. Prior to her first real spiritual awakening (breakdown) she spent 8 years as a college basketball coach. She was able to use all the experience she had gained as a college athlete herself, as well as the education she learned through formal schooling, to help mentor young women. Brenna has taught yoga all over the world. From a surf camp in Lobitos, Peru to a massage therapy spa in Minnesota to a yoga program specifically designed for college athletes. She created Aham Love Yoga, LLC in 2013 and since then has been teaching a wide variety of yoga classes in a wide variety of places. She lets her own journey be her guide as she works with others.